Job opportunities at the School of Arts and Sciences at The Catholic University of America include positions for academic scholars, professional staff, and part-time student workers. 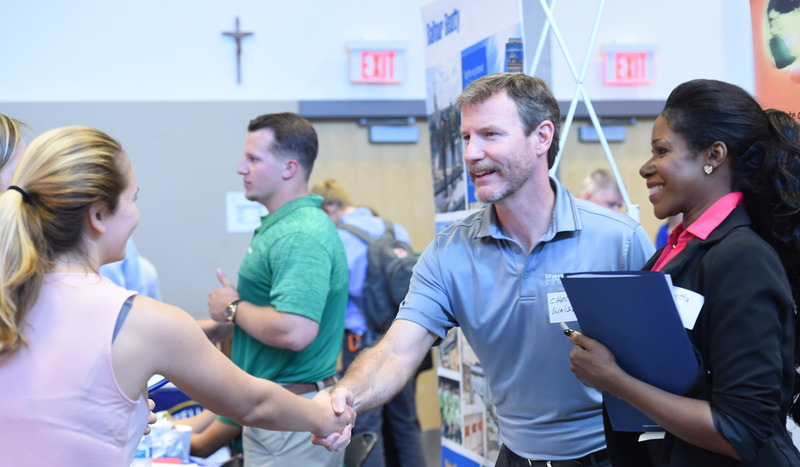 Catholic University offers competitive salary and benefits packages to its diverse employee population, including health and dental insurance, tuition assistance, a retirement plan, and more. To learn more about the University, its hiring policy, application procedures, and current employment opportunities, visit the University's Human Resources website. The Office of Career Services posts a variety of job opportunities for students. Information about on-campus work-study jobs for both undergraduate and graduate students is available throughout the year. The office also helps students find internships, summer employment, and postings for full-time professional positions.